We have awesome weather at the moment. Little update on my back. Every day slowly a tiny little bit better, will still take some time to get rid of all of its misery. Jan went to his specialist in hospital for a control appointment and she was rather pleased with his condition. So next appointment is in half a year, and that is I think, a good sign. Remember I told you Jan had a cold? Well, it didn;t get any better with the couching, so finally managed to get him to our doctor. Doctor told him he had a nice laryngitis, he gave him some kind of antibiotics cure and it should get better in a few days and hopefully completely gone in a week or may be even two. There are times he just cannot stop couching, and it wears him out, he feels sooo tired and of course not happy. Let's hope the cure will do its job soon! Luckily we have good weather here for a few days already and it will stay that way for longer. Temperatures are around 25-28C, today there are some more clouds every now and then, but oh, how wonderful it is to open the garden doors and leave them open till in the evening! Slowly the garden is awakening too. Every few days there are flower buds opening, like now the clamtis is starting, my climbing rose, some nasturtium, the tomatoe plants are growing steadily, so there is life enough in the garden. Plus the different birds we have around, that is ever so nice. 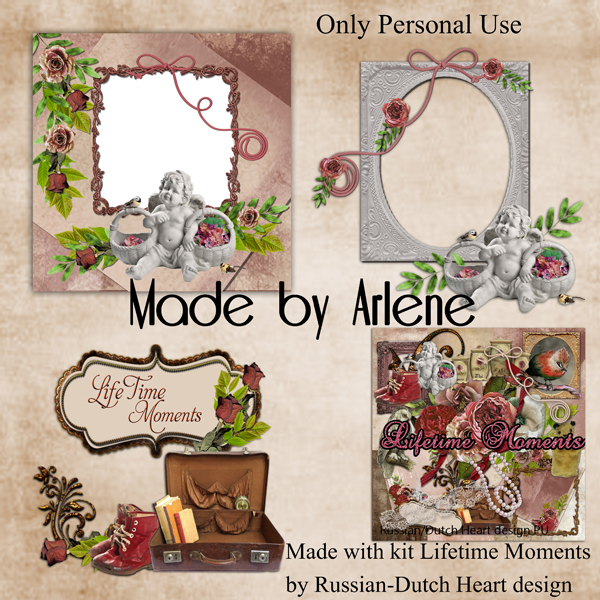 I have for you the clusters from Arlene from the Lifetime Moments kit. I hope that can do some work at the computer this week, because sitting longer time in about the same position is still not the best way for my back, LOL. Wishing you all a fantastic week ahead! Quick post, to say I am still alive LOL! yeah, it's been a long time after my last posting, I know. But i wasn;t in the shape to sit for longer time at the computer. In fact first week after the fall it was hard to do anything, also sitting lying down, walking, no, not nice at all. Sweet hubby of mine took over the cooking the first week, and did things that were necessary. I felt sooo guilty, you know, because he also has to be a bit carefull with his back and health all over. But slowly I am getting better, although I fear it will be a longer process, to get rid it all and be in the same shape as before. I felt also awefully tired the first week or so, because I couldn;t get a good night sleep. Still like to take some naps every now and then. But with some care i can do a bit of shopping again, in slow motion, but never mind that. I think longer walks is still the most difficult for now, after a while I really feel the back again at some places. Still I cannot complain too much, all considered I was very lucky not having broken or severely bruised anything. Now that i am getting slowly in a better shape again, Jan has catched a cold in the last few days, poor soul. He is coughing a lot, which is the most tyring of it all. I hope it will pass in a couple of days, he could do with a stressless period too! Lucky for us from today we are having real nice weather again and if all forecasts wuill come true it will last at least till next weekend, or may be it could stay on for even longer. I am talking about temperatures here at the coast of around 21 to 25 C which is very nice. 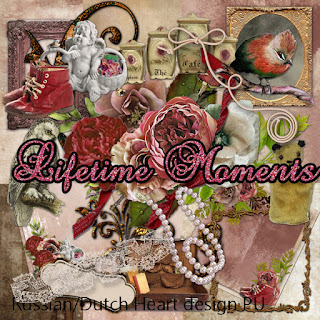 We can do with some real spring and starting summer weather, good for all kind of healing, good for a good mood, etc. LOL. For now you know anyway that I am doing okay, but I have to close the post now, same position at the computer is doping no good. 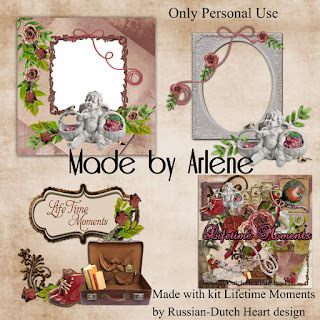 I have a kit for you, one in two downloads, hope you can do something nice with it. Thanks to all for the uplifting comments and good wishes. Now i still have to read some blogs, which I left alone also for about 14 days. But that will have to wait till perhaps tomorrow. Just logged in to say I will not be posting today. two days ago I took a fall from a little stool, on my back. It was all my own fault, shouldn't have used that stool. But in general I am okay, I still can walk and move(although that is a bit difficult LOL), but sitting at the computer isn't really possible. Already am glad I can sit off and on on the couch. Well, as soon as I am feeling better I will post. So sorry i have to disappoint you, all by my own stupidity!